Discover Vancouver and the Surrounding Areas in a New Car! Not long ago, we looked at driving in Halifax, airing out some of the local gripes about driving, as well as highlighting a few of the scenic drives around the area. We’re heading back to that well, only this time we’re going to focus on Vancouver, our dealership on the opposite coast. What’s not to love about Vancouver? The bustling city streets, the laid-back café vibes, the magnitude of multicultural cuisine to sample, and, of course, the shimmering Pacific – all of these aspects make Vancouver an easy city to love. Driving around Vancouver can be equal parts stunning and maddening. There’s no doubt that the city has its share of congestion issues, but driving here can still be richly rewarding, thanks in large part to the abundance of natural scenery and solid road conditions (in most parts). It’s not all rosy, but it never is anywhere. This post will discuss some of the popular complaints about driving in Vancouver, as well as its overall driveability. Then, we’ll touch briefly on a few of the stunning drives you can take around the city. And, finally, we’ll talk about how you can lease a luxury car in Vancouver through us – or through our Drive app. Let’s drive right in. Judging by the sheer number of rants you find on the Reddit subreddit r/Vancouver, you would think that driving in the city was like a post-apocalyptic free-for-all. People like to cite the congested traffic, lane-swerving and general bad behaviour of drivers as proof of Vancouver’s poor driveability. And, unfortunately, it’s not just netizens lining up to criticize the city; as CTV reported a couple years ago, Vancouver was ranked the worst city to drive in the country, by a German car parts retailer (take that how you will). But is it all that bad? Well, no, not really. Like every big city, Vancouver has its driving issues, but also like every big city, we tend to blow them a little out of proportion. A cursory Google search of driving in Toronto, or driving in Calgary, will net you similar results – a lot of frustrated citizens, fresh from their evening commute, venting online about the sorry state of driving in their city. That said, the lack of freeways in Vancouver can result in some annoying congestion, especially when the transport trucks are forced to share space with commuters. And the high cost of parking in the city is something that ought to be addressed. And, yes, a few bad eggs have a habit of failing to signal when they change lanes. 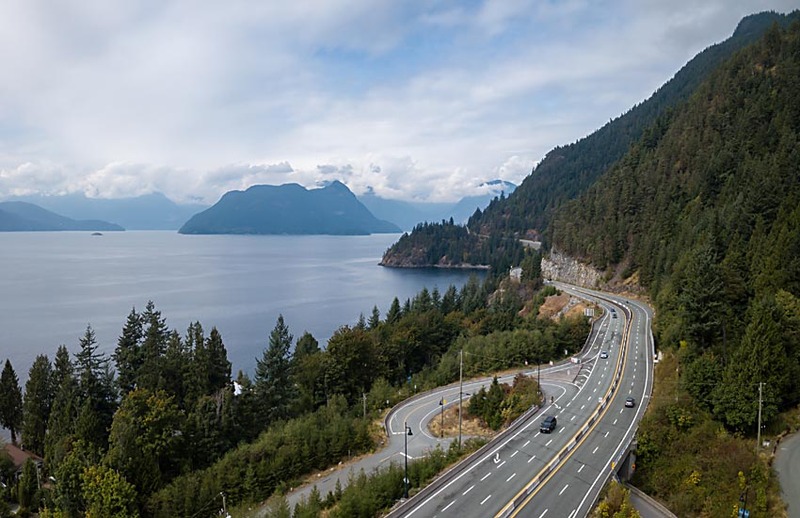 But otherwise, driving in Vancouver is no worse than any other major metropolitan city, and in fact, it has one thing really going for it: the scenery outside your car windows is some of the country’s most beautiful. Leave the Vancouver city limits and you will find a whole world of great driving. You can easily find dramatic natural landscapes, breezy marine culture and plenty of extreme (and not-so-extreme) activities with just a few hours on the open road. Once you drive off our luxury car showroom in Vancouver there is no limit to the number of incredible places you can visit. At around a 25-minute drive northeast, getting to Deep Cove isn’t difficult – in fact, it’s not really even leaving Vancouver. But the sights and pace are different enough from downtown Vancouver that it can feel like you’re visiting a new place. As the weather gets warmer, Deep Cove becomes a great place for kayaking, canoeing, biking, etc. About a 25-minute drive northwest, Horseshoe Bay is equally as easy to get to. Once there, you can peruse the sleepy village before hopping a ferry to Bowen Island. The small island is fun pretty much any time of the year, but summer is when it starts bumping, with busy campgrounds and beach dwellers. About two hours east of Vancouver is Harrison Hot Springs, nestled within the mountains of southern BC and containing – you guessed it – natural hot springs. It’s a great place to relax on the weekend, but if you want to mix some activity into your rest and relaxation, there are also plenty of things to do: golfing, fishing, hiking, to name just a few. Head to the Tsawwassen ferry terminal, about 40 minutes south of town, and then drive right on to the BC ferries headed for Swartz Bay. The ferry ride itself is gorgeous, as you pass through the gulf islands. When you get to the other side, it’s a short ride into downtown Victoria, a buzzing city with a beautiful inner harbour and majestic Parliament buildings. What’s to say, that hasn’t already been said about the Sea to Sky Highway? The Guardian named it one of the best drives in the world, citing its “cluster of beautiful lakes that reflect the surrounding mountains”. It really is something you need to experience. Take a weekend trip to Whistler and enjoy the drive. Finally, if you’ve had enough of Canada’s unspoilt beauty (how could you?) you could always head stateside. At around a 3-hour drive, Seattle is pretty accessible, and it can be fun seeing where Starbucks and Grunge came from. No trip is complete without the obligatory visit to Pike Place Market, home of a bronze pig and some fish throwing. Contact AUTO ONE Group Vancouver anytime to learn more about leasing a luxury car. Our giant inventory has luxury cars to suit all tastes, family sizes and budget. As a less expensive alternative to traditional financing, leasing allows you to drive a car you never thought was in your price range. Or, if you prefer an even more flexible program, we’ve car our car subscription service, called Drive; simply download the app, sign up with approval in minutes, and then choose the luxury car that’s right for you. You can even swap your car on a monthly basis, driving a new car whenever you feel like it. There are a lot of great drives to take in and around Vancouver. Even the city itself, once you get past the light congestion and pricey parking, can be a joy to ride around in. 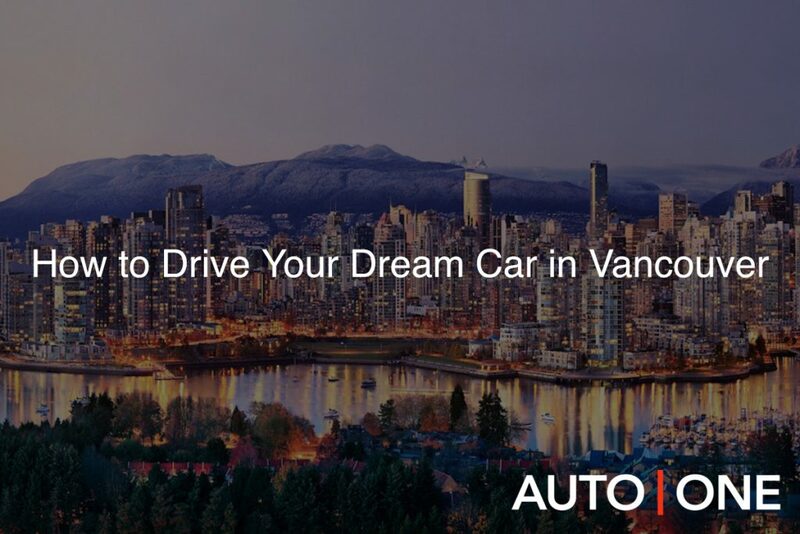 Drive around Vancouver in style – ditch the clunker in your garage and come visit AUTO ONE Group to step into a new luxury car today. Long weekends & holidays may affect these hours.